Last year I went for a doctor’s visit for recurring bronchitis. Our local nurse practitioner determined that a steroid shot was needed. As I got ready to receive this medicine, I decided the best way to distract myself from the pain was to engage her in my favorite topic: literacy. She has four children in our local school, all of whom are top students. Grimacing I asked, “So now that we are using Collaborative Literacy in the schools, are your children reading a lot at home?” Although her answer surprised me, it had the desired effect: I never felt the needle stabbing my derriere. “What? My children? They never read at home. In fact, when my two high schoolers have a book report due, they go out in the car and listen to snippets of a story on Audible just to get the assignment done.” This visit led me to embark on several long conversations with the local principal, Amy Duda, about how we could get reading at home going in our community. Luckily for the children of Del Norte, Colorado, principal Duda worked diligently to do so. Shortly after the previous episode, I was conferring with a child who was very excited to read books. When setting up a book goal (see my blog on book goals), I asked this child how long she thought it would take her to finish her present novel. She conveyed that she would like to complete it by the end of the week, but since she wasn’t allowed to take books home, she doubted she could finish it by then in the time allotted each day for Individualized Daily Reading (IDR). Needless to say, this led me to share “The Joyous Journey of Just One Book” (first blog in this series) with the fine teachers at her school who agreed to take the chance of sending books home with the children in the future. During my last five years of teaching in public schools, I was blessed to teach middle school in one of the poorest counties in Colorado. One of the first things I did was to instill the practice of reading at home. 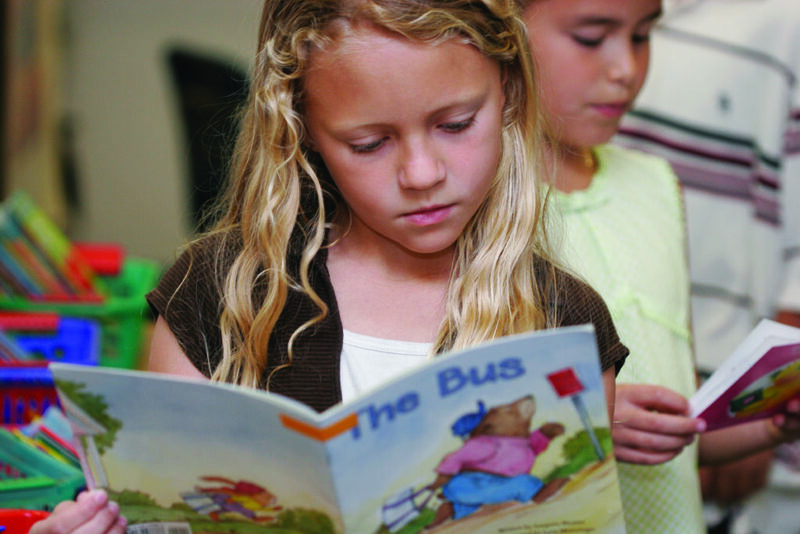 Children were expected to read 15 minutes a night, four nights a week. My dream was that they would fall in love with their books during the day under my direction, read their 15 minutes at night, and get so engaged that they would read more than the required time. This worked better than I could ever have hoped. During the five years I spent there, we won several awards for outstanding growth on state tests, including being labeled a Center of Excellence: “schools in the state that demonstrate the highest rates of student longitudinal academic growth and enroll a student population that is at least 75 percent at risk” (Robert Hammond, Colorado Commissioner of Education, 2012). More importantly, the children fell in love with reading. We noticed them reading on the bus, reading in the stands at ball games, and most definitely reading at home. One of the items I used to track this nightly reading, along with reading conferences, was a Status of the Class sheet that I learned from Nancie Atwell many years ago. The top of the square is for the page number the child is at during the start of workshop. The bottom is for the page number at the end. Filling out this quick, simple form helped me to see if students were reading at home. If a child left the workshop on page 19 and returned on 19, it was obvious he didn’t read the previous evening, which would lead to a quick check-in to see why. On another note, if a child left on page 19 and started the next day on page 99, this also led to a quick check-in conference to confirm that this was accurate. In order to get children to read at home, it is crucial to get parents’ as well as other teachers’ support. I shared early in the year my expectation that students would be reading at home and gave two suggestions to families: turn the television off for 30 minutes every night and have everyone in the family read. If that seems too daunting for some of your families, I suggest that children get to stay up 15 minutes later if they curl up with a good book. The other issue that can sabotage reading at home is homework. (Yes, homework.) Children who are expected to do homework at night often do not have time to read. The first task I undertook in my middle school experience was to get my colleagues to back off on homework so that the evening could be spent with a good book. Teachers across the country tell me that the biggest reason they skip or shorten IDR is time. If we get children to read at home, we buy much needed nuggets of time. So if you want to give your reading program a shot in the rear, send those books home and ask students to read, read, read. Atwell, Nancie. 1987. In the Middle: A Lifetime of Learning About Writing, Reading, and Adolescents. Portsmouth, NH: Heinemann.